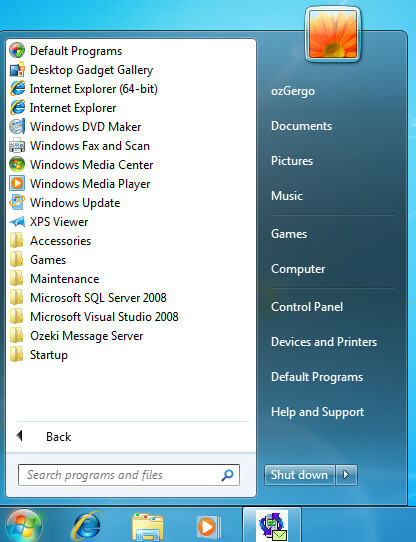 As the first step click on the Start button and select Control Panel/Administration tools/Services menu (Figure 1). This will bring up the services form. 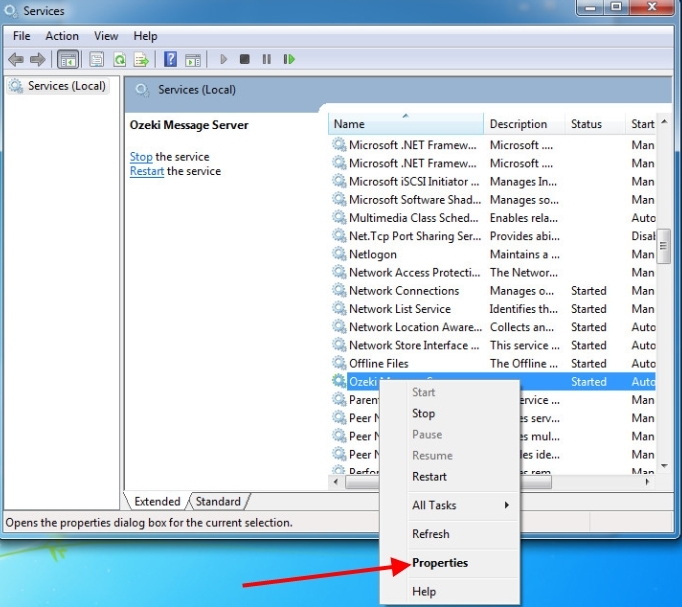 In the services form, you have to find Ozeki Message Server Entry (Figure 2). Click on this entry with the right mouse button, and select the Properties menuitem. On the Ozeki Message Server Properties form, select the Log on tab (Figure 3.). 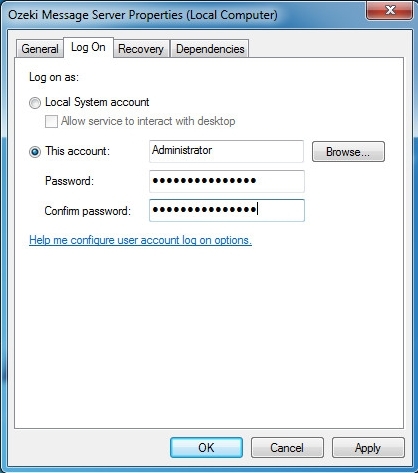 On this tab the local system account is set as default, that's why we have to select the "This accout" radio button, and specify the user name and the password. When you are finished you should click on the OK button. 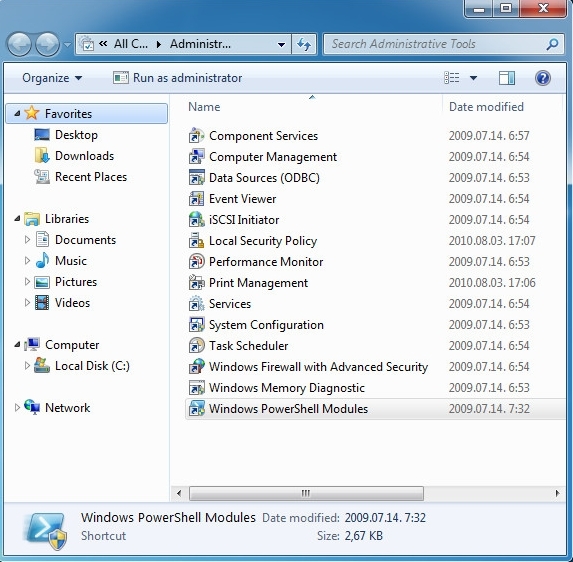 It is recommended to use the administrator account. Important: make sure to restart the service after these settings have been applied.